Pluto trine Sun transit is probably the best of the long-term influences in astrology. All the positive power of Pluto, the intensity, endurance and passion, become a part of everyday life which gives you awesome personal power and influence. The extreme boost to your ego and confidence levels means that you will be able to make big advances in all areas of life. People will be drawn to your strong presence and charisma and there is no bad karma in taking advantage of this because important and powerful people will genuinely want to team up with you for win-win situations. There is also nothing wrong with being proud of yourself and a bit self obsessed during this transit. You are likely to have more influence over others and will most likely use it wisely. This period in life is a high point so you may as well make the most of it. You can expect to make some big and lasting changes in your life, as the trine from Pluto really brings out the transforming qualities of this planet. Business, career, and finances should all go well and you may be handsomely rewarded for seemingly little effort. In love relations, your magnetism and strong self-assurance will attract the goodies. Hello Jamie, how big an orb do you use for pluto transits? my sun is 2’50 virgo, sextile 3’41 scorpio mars and 2’41 cancer MC and i’ve definitely experience tremendous changes & transformation in the passing years. Hi Mads, I think with the Sun, Moon and AC I’d use at least 3 degrees, especially applying. Pluto trines my Moon in 2013 and I’m sure I’ve started to feel it at 4 degrees away. Thanks Mads. After 15 years of Pluto square my Virgo stellium, I’m ready! Interesting, I also have a Virgo stellium. Does the transit of Pluto trine Sun “trump” the transit of Pluto trine Pluto? I ask because I’m an Aquarius with 5 planets in Aq. and Pluto in Virgo. For Aquarians, Pluto is semi-sextile our Suns but, for those of us born in the 60’s, Pluto is trine our Pluto. Not too many weeds in these transit discussions Aquarius40. You would definitely feel any transit stronger to your Sun than to your Pluto. The Sun, Moon, AC, then the inner planets are more important in our charts, the further you go out then the weaker the natal affect. This is why you use smaller orbs for the outers. both my kids are Taurus decan 1….while our finances aren’t that good right now, I’d that this transit has helped them view things in perspective regarding the lack of material luxuries that they were accustomed to. they are, however, have gained a lot of success in school, and have gained the support of teachers and friends. my eldest have been thinking a lot about her future and have been talking to me about various careers and possible educational paths she can pursue (she’s only in 8th grade!). needless to say, she’s gaining a lot of maturity during this transit. my son is not showing this yet but I’m sure he’ll come around soon. That’s wonderful to see in our children, isn’t it? They actually do grow up! I am also a Taurus decan 1 (April 21, 1963) and I have been filling contract jobs with an energy company for the past 2 years. I think I have probably applied to (not exaggerating) at least 100 jobs that are permanent, and I have yet to be successful! I get interviews, and every time the human resource managers tell me that the interview is excellent, I never seem to land the position for myself. I’m not sure what’s going on, but I’m more than eager to have the tables turn in my favor. I guess I just wait… If anyone has any ideas about what’s happening I would love to hear thoughts on it. How would transiting Pluto (Capricorn) 11th house conjunct natal Mars in 11th house cap and Tr Pluto trine Natal Sun in 7th house Virgo play out? After the last few years I’ve had Ill take whatever I can get. The last 5 years have been a disaster when it comes to relationships and finances for me. Hey, as a 2nd Virgo with Mercury, Saturn, Venus, Lilith, Mean Node all in 9th House in Virgo should I be extra glad for the Pluto Trine Sun transit? I was born on May 2nd 1987 and this rings true. The job I currently have I kind of fell into but have been starting to feel pressure to move on with my life and discover what will truly make me happy..or maybe its just that I am getting older! I’m assuming that is actually 2018 to 2024. 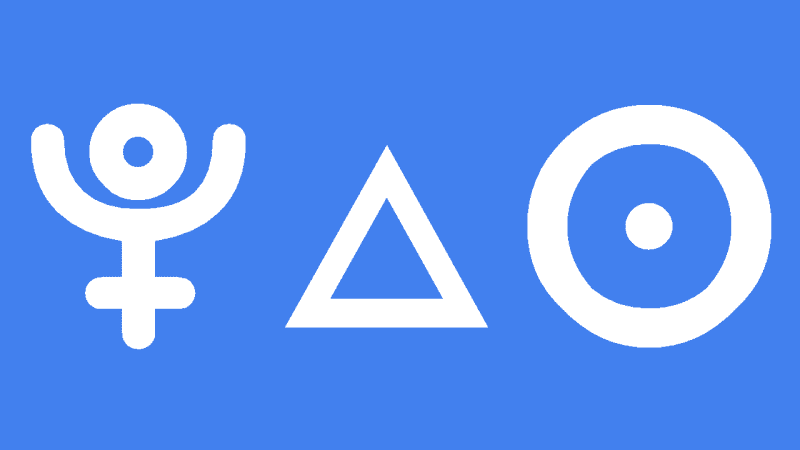 Decan 3 will receive a triple trine from Capricorn as besides Pluto, Saturn and Jupiter will be there in conjunction. I just wonder about the effect of two “malefic planets” sending a trine to one’s Sun. Fortunately Jupiter will be there but only during 2020. Then after, the double trine to Virgo and Taurus will continue… by the malificent. I hope only goodness may result from that situation. I have this transit coming up next year, born May 8 1992. I’m ready for the rebirth, especially the success. Glad it’s after the Mars and Saturn opposition. huge question: i guess pluto will go direct at 18deg cap soon .my natal pluto is 18 virgo ,my sun 18 taurus…will this somehow make an earth trine ? good ? or more stress ?